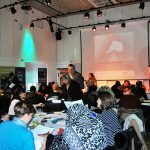 The “Hate Crime- Communities in Control” event held on 28th November at The New Art Exchange, Nottingham was a huge success. Over 60 people, representing 40 voluntary sector organisations attended. Presentations were given by the Nottinghamshire Police and Crime Commissioner, Paddy Tipping, Director of Communities Inc., Michael Henry, Cllr. Nicola Heaton (Nottingham City Council) , Safer Nottinghamshire Board Hate Crime Champion, Ruth Hyde, Shamsher Chohan & Chandran Owen of Communities Inc. and Chief Inspectors Ted Antill & Nottingham City Council Head of Cohesion, Dave Walker. 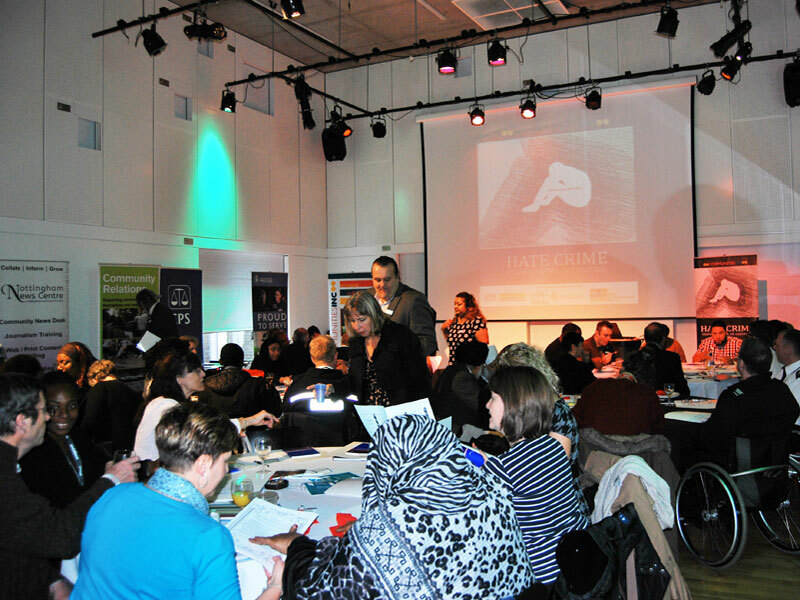 During the course of the event, over 20 organisations expressed an interest in taking part in the project. Michael Henry says: “It’s great to see such a large and diverse turn out of individuals and organisations, who are all committed to increasing the reporting of hate crime in the city and county. Demand from organisations wishing to take part in the project have already exceeded our target of 20, so we will seek to increase the numbers, as we don’t want to turn anybody away”. Exhibitors that attended the event included Crown Prosecution Service (CPS), Nottingham City Council, Nottinghamshire Police, Nottingham News Centre, Mojatu Magazine and Insite Radio.